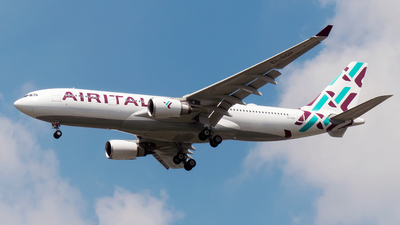 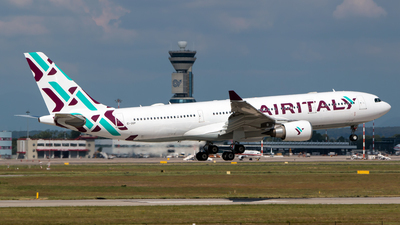 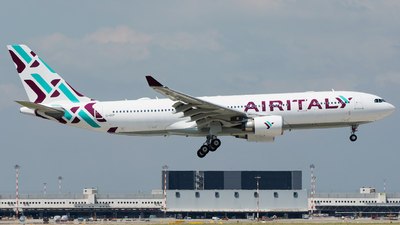 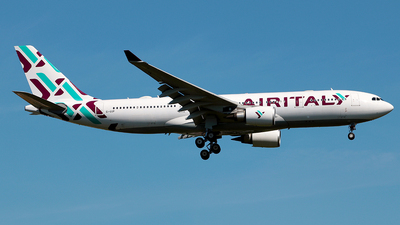 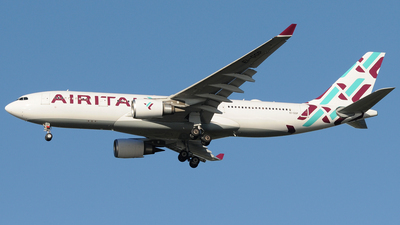 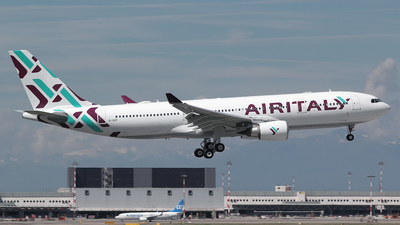 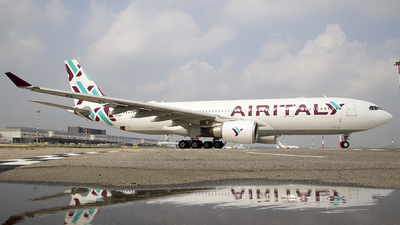 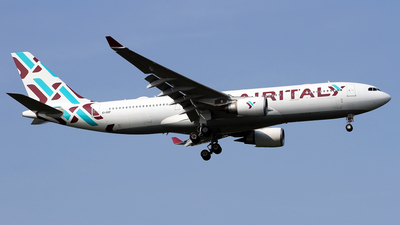 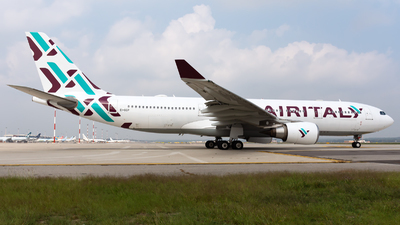 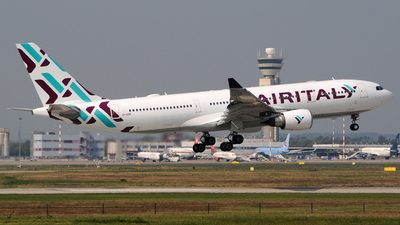 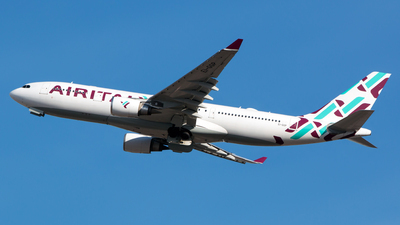 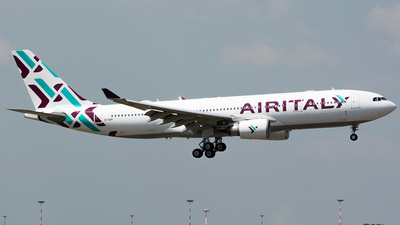 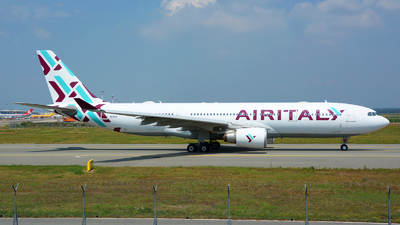 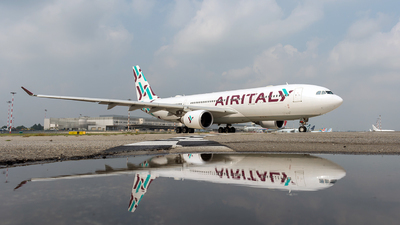 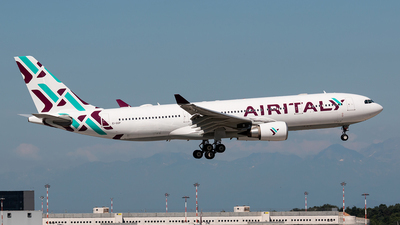 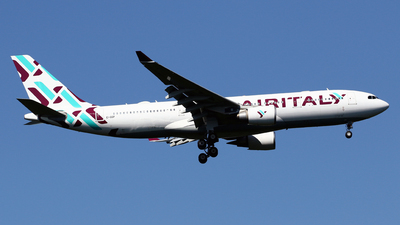 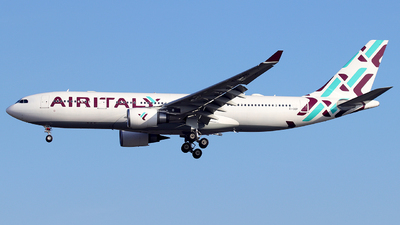 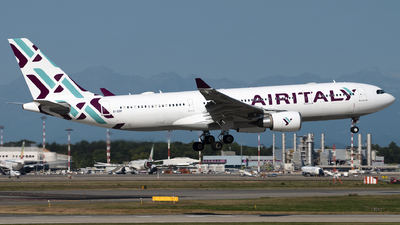 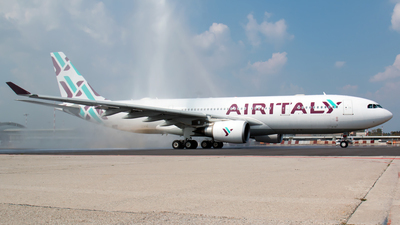 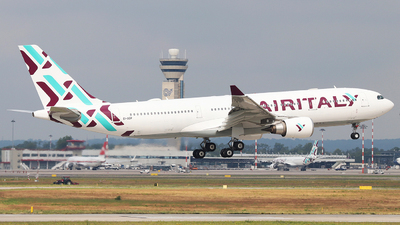 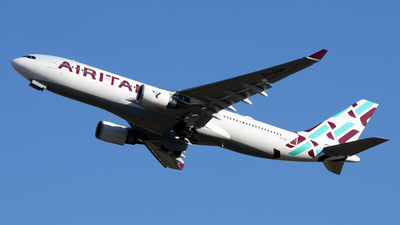 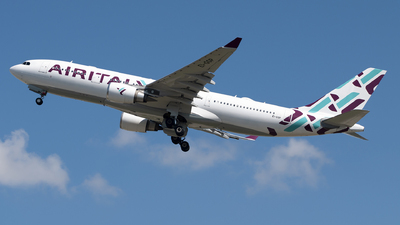 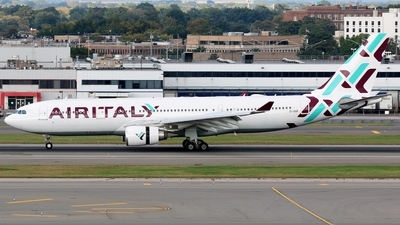 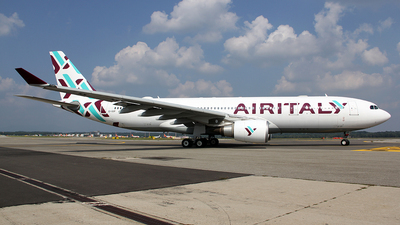 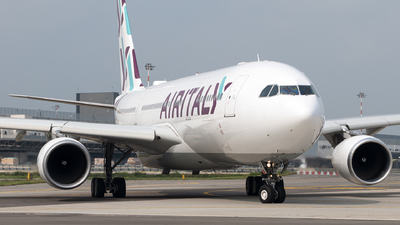 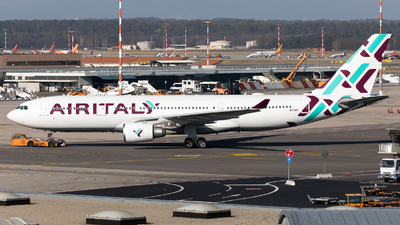 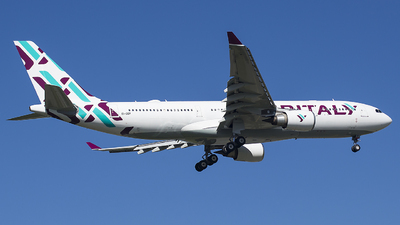 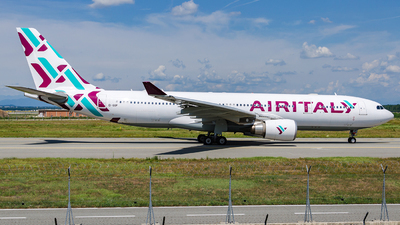 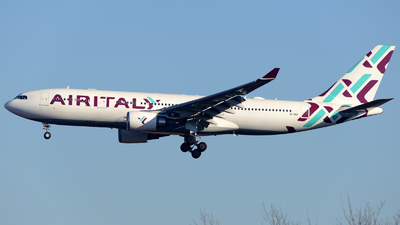 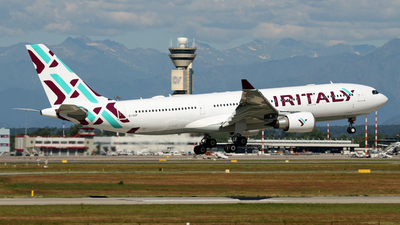 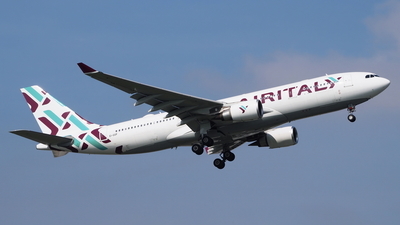 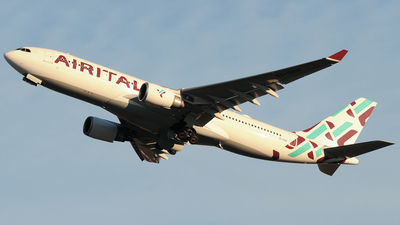 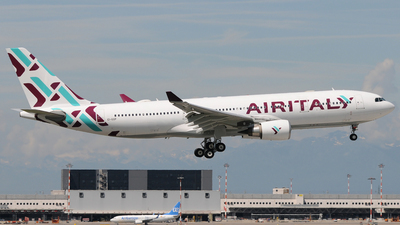 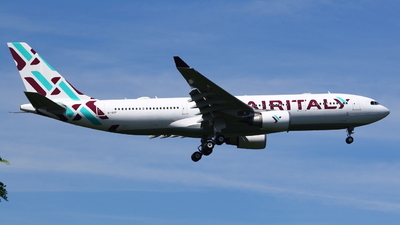 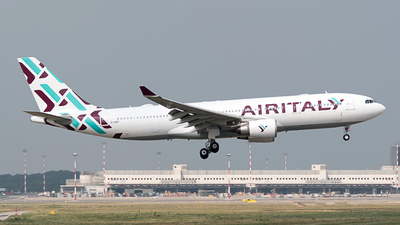 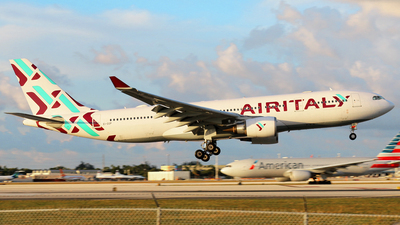 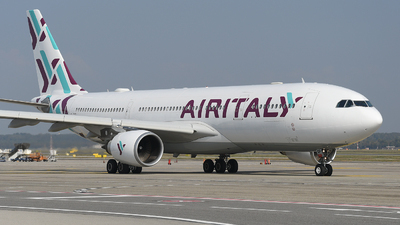 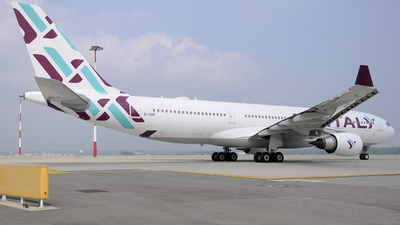 Note: Air Italy inaugurated the new direct flight between MXP and BKK with their A330. 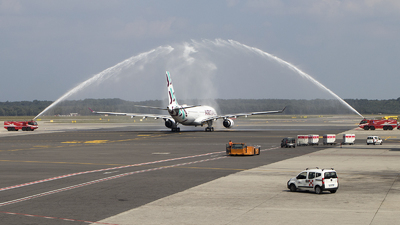 Here greeted by the airport's firefighting team! 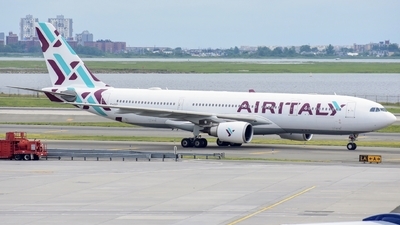 Note: The second A330 while's approaching runway 35R after the flight from JFK.